Looking for a Matrix News announcement that isn’t active on Matrix anymore? No worries! Check out the NorthstarMLS Blog and Archive on your computer or mobile device. Most of our announcements are active for about 2-3 weeks on the NorthstarMLS Matrix News Screen before they’re removed. Should you ever need to find a past announcement to refer back to, visit the NorthstarMLS Blog and News Archive. This is where you’ll find categorized and archived NorthstarMLS News content that is no longer up on the Matrix News Screen. You can quickly find any article from the past by using the Search Box at the top right of the Blog/Archive, as seen in the screen shot below. Just type the keyword or phrase, such as “Tip of the Week,” “MLS Rules,” “ShowingTime” or “NorthstarMLS Matrix” for example. Then click or tap the Go button to run the search and find the article you need. 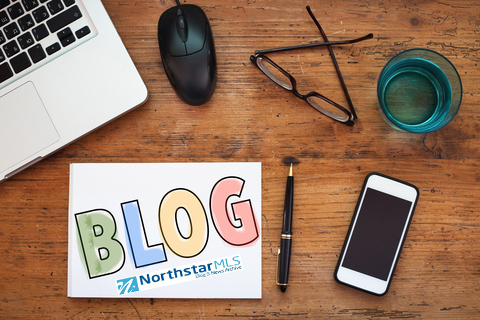 Check out the NorthstarMLS Blog & News Archive now! If you Like or Follow us on social media, you’ll find the latest NorthstarMLS news, announcements, videos, pictures, humor, links to articles and other relevant material related to the real estate industry that you might not find here on the Matrix news screen. When you Like and Follow us on social media, you’ll gain access to exclusive Facebook and Twitter contests with chances to win gift cards, an interactive way to stay connected with other NorthstarMLS users and much more!